Hello people of the internet! 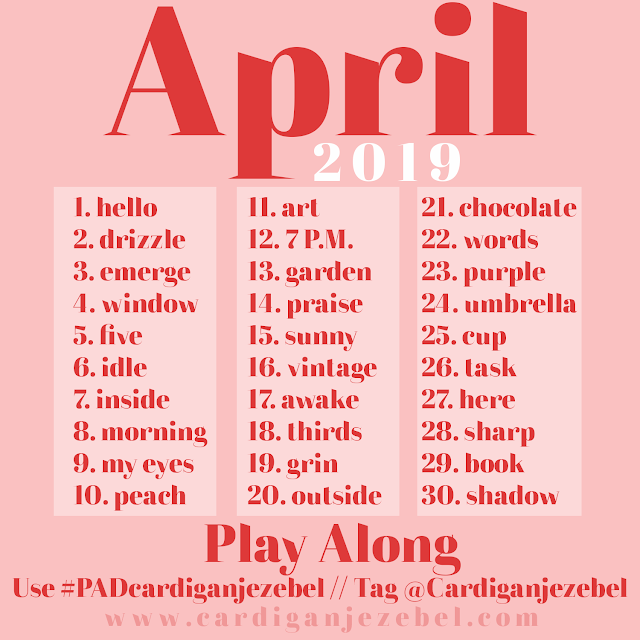 Tomorrow is Cardigan Jezebel's 4th birthday. I can't believe I started this little blog four years ago. It's been such an absolute pleasure. Because of my blog I've been able to have so many opportunities and meet so many people. So, I've decided to run a little giveaway to give something back! 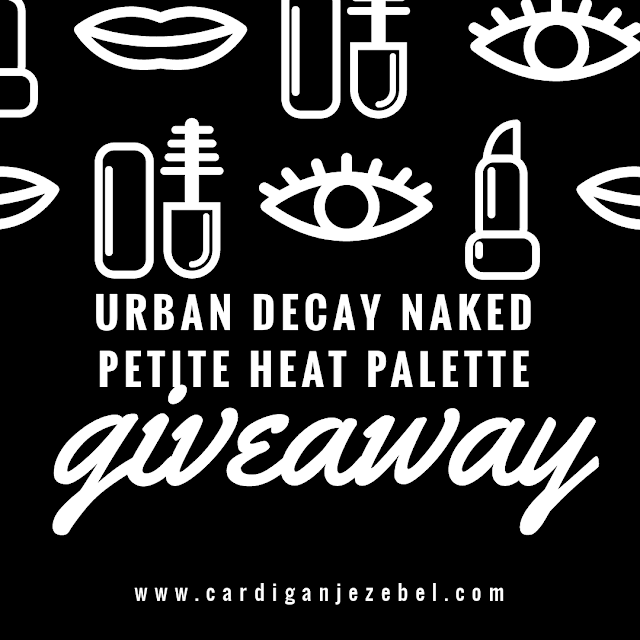 If you decide to enter this giveaway you could win an *Urban Decay Naked Petite Heat palette! I was kindly gifted one last month right before the launch. I fell in love with it and so how was gifted a second palette. Of course I couldn't keep that one for myself. I knew straight away I was going to do a giveaway with it! You can enter the giveaway using the form below! That basically involves you following me on social media and you get extra entries if you comment below and tweet about the giveaway too. This giveaway runs from 13th of April to the 27th of April! This is open internationally and I'll be posting it out ASAP after the giveaway has ended! * = This product was given to me for review purposes. Since I already had one I decided to give the other gifted product away. I have not been paid to run this giveaway. 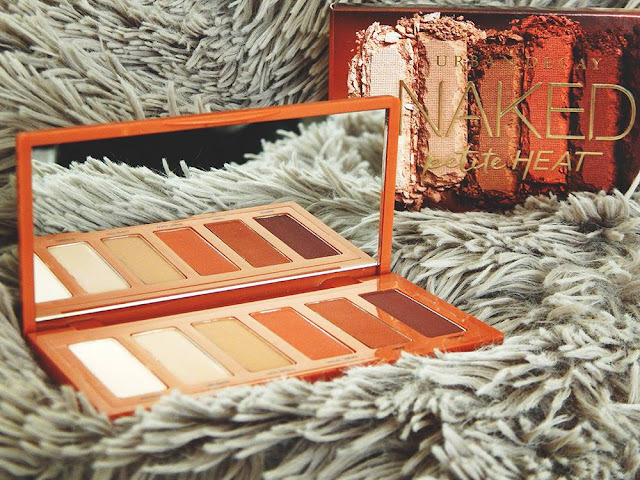 What's your favorite Urban Decay Product? Wooow, congrats on 4 years! 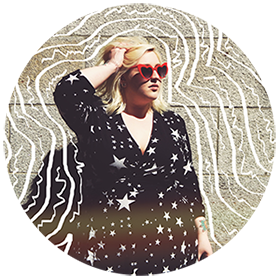 I've only been blogging for just over 2 years and I absolutely love it. I started after I had authored 2 other blogs that I fell out of love with. I was just writing things to try and fit in with the crowd, but since starting The Northernist and writing what I want to talk about, I haven't even considered stopping! Massive congratulations on 4 years of blogging! This is a great giveaway too. I've been blogging for nearly 3 years now and I still love it. Ahhhh this is so cool, Meggan!! Congrats on 4 years! I entered the giveaway, thank you!